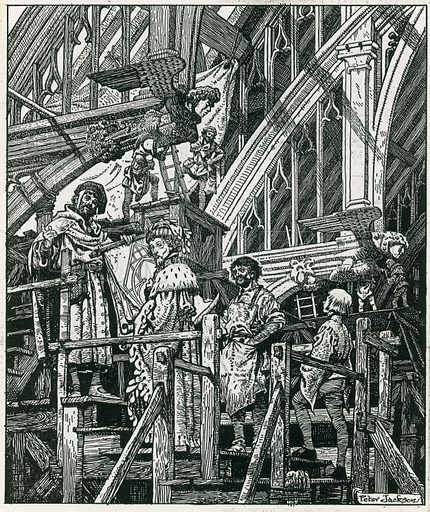 The best pictures of Westminster Hall are striking images of the finest mediaeval building yet remaining from the old Palace of Westminster. The first picture shows the building of the Hall. 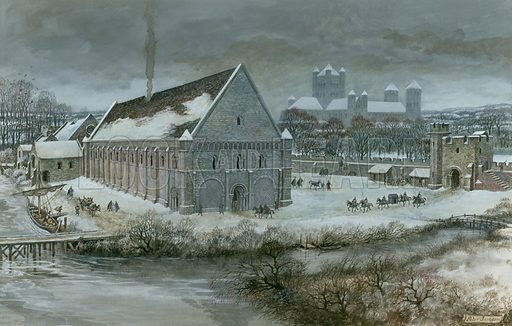 The second picture shows the snow-covered Hall in the Middle Ages. 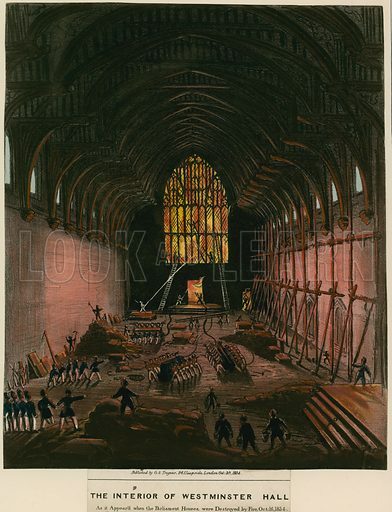 The third picture shows the interior during the Great Fire of 1834 which destroyed the Houses of Parliament. Many more pictures of Westminster can be found at the Look and Learn picture library.